Beautiful scene and view in this colorful autumn scenery. V.
Golden fire in this very pleasing comp, David. A most beautiful image, David, I can't add to more than has already been expressed. Agree with J S. The layers make this a beautiful composition. 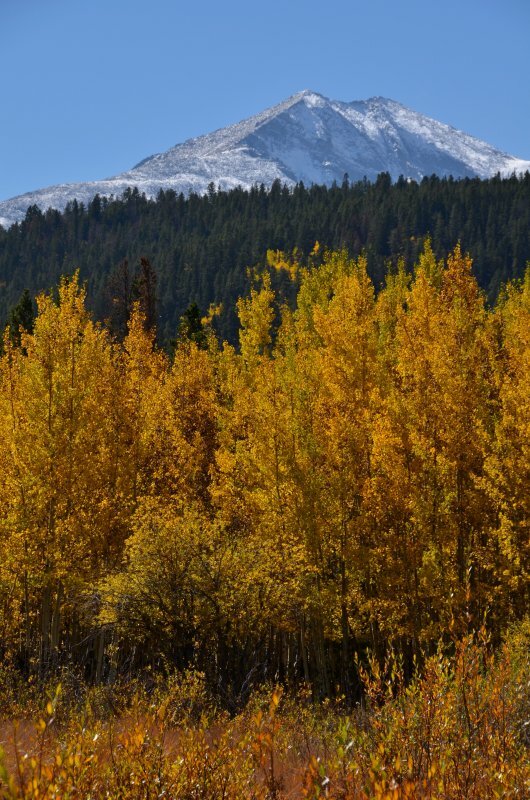 The yellow aspens are really lovely and I love the mountain peaks in the background. V.